Members of the IECA can subscribe to Environmental Communication at the following discounted rates. You'll get 8 new issues per year and access to all back issues! Join the IECA to receive these discounted subscription rates. Research Article (6– 8,000 words): Original empirical research or new scholarly analysis of significant scope and breadth. Advanced Review (6– 8,000 words): Comprehensive synthesis and review of research and developments of interdisciplinary significance, highlighting future directions for research, analysis, and/or professional practice. Research Insight (2– 3,000 words): Original empirical research or new scholarly analysis smaller in scope than a full research article, often providing insight on recent or emerging debates and trends , and/or a novel social, professional, or country context. Commentary (2– 3,000 words): Expert commentary evaluating recent research findings, professional practices, issues, and/or societal trends and decisions; timely in nature and peer-reviewed. Review Essay (2– 3,000 words): Modeled after articles at The New York Review of Books, review essays offer a critical evaluation, synthesis, and discussion of 3 or more recent books, documentary films, and/or exhibits analyzing main arguments, conclusions, and common or contrasting themes including elements related to promotion, impact, and reception. Not subject to peer-review. 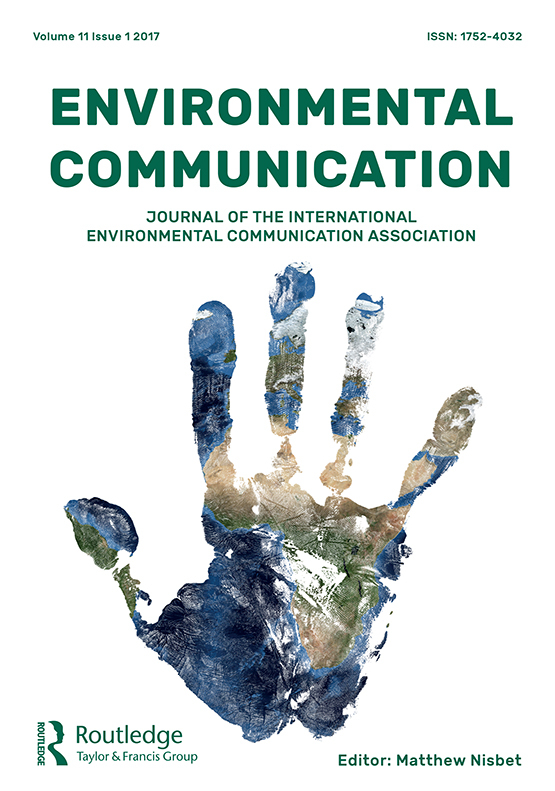 Members of the International Environmental Communication Association (IECA) are eligible for a 30% discount on the standard fee (APC) for publishing their article Gold Open Access. Please email apc@tandf.co.uk with your IECA membership number if you would like to choose this option.